A beast of the new generation of the Jiu-Jitsu world, Gustavo Batista shone at the European Jiu-Jitsu in 2019, which was held from 15th to 20th January in Odivelas, Portugal. The current world champion in the medium-heavyweight (by closing with Lucas Hulk for Atos) once again closed in Portugal in the heavyweight division, alongside teammate Kaynan Duarte. He shone even more brightly, dominating Lucas Lepri in the final and winning the absolute division 10-0. At the age of 22, Gustavo became one of the youngest black belts to win the absolute division of the competition – he beats Rodolfo Vieira, a 22-year, 4-month-old champion in 2012 by, just a few months. Portugal has been very kind to Gustavo, who for four years remains undefeated in the Europeans. Competing since 2015 in the IBJJF European Championships, he won the weight and the absolute in all the years, which he has appeared (2015 blue / 2016 purple / 2017 brown / 2019 black). Check out this interview with Gustavo Batista, where he analyses the feeling of fighting with Lucas Lepri, returning to training for the first high-level competition of the season, and the next steps in the career. What was your most difficult match at this year’s European Championships, which ended with double gold for you? Gustavo Batista: Look, I really wanted to do well in the and I was very happy to win my first big absolute title as a black belt. An unforgettable day for my career. The toughest fight for my weight category was the semi-final with Adam Wardzinski. It was a good fight, he’s a very technical and tough guy. In the Absolute, it was the semi-final, which was a war against Igor “Tiger” Schneider. And, of course, had the final with Lucas Lepri, another top-level fighter. About the final with Lepri, did you have butterflies before the fight? Of course, I did. Lucas is very tricky, I was always a fan of his Jiu-Jitsu and to be in a final of the absolute with him was a different sensation, and an honour for me. He has a very solid and complete game, he knew that it would be a fight where I couldn’t make mistakes. I was very happy with the victory, it was a dream accomplishment, a sensation that all the dedication is bringing me results. It took a while for it to sink in (laughs). How was your preparation for this tournament? Was the return to a high level of competition after the holiday season difficult? I did my preparation in Florianópolis, my hometown. As the European is very early in the year, I continued training non-stop at the end of the year during the holidays. I trained a lot of gi and there was a lot of physical preparation too, as always. I counted on the help of my friends because it is a time when people are usually on vacation, but they helped me in training every day and I managed to get well prepared. It was a bit complicated to lower my weight to medium-heavy, so I chose to go heavy and get stronger, without diet and focused on competing in the absolute. How does training work with your girlfriend Luiza Monteiro, who was runner-up in the female absolute division? Is there any advantage to training with someone so close? It’s nice. She is very strong and technical. Every now and then we train, but usually, I train with the guys in my weight and she trains with her weight. But we help each other a lot on a daily basis and talk a lot about Jiu-Jitsu. What’s your next assignment? Going Pro or total focus to defending your title at Pans? 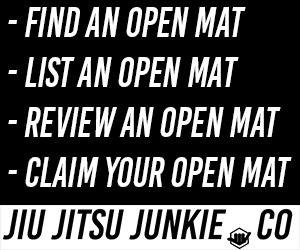 I have an upcoming fight in Fight2win, and I want to fight the next two editions of BJJ Pro, but my main focus now is on the IBJJF Pans itself.